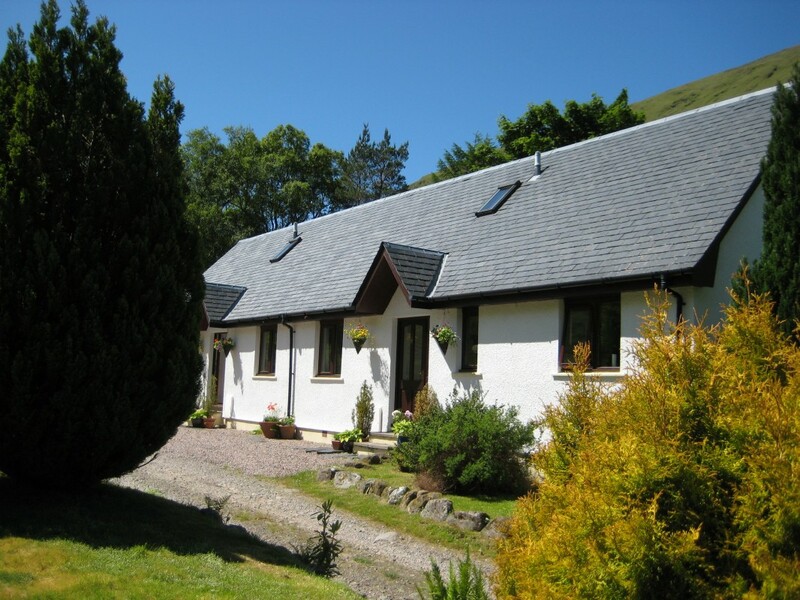 Our cottages are wonderfully situated in a valley off one of Scotland’s finest, most magnificent and historical glens. 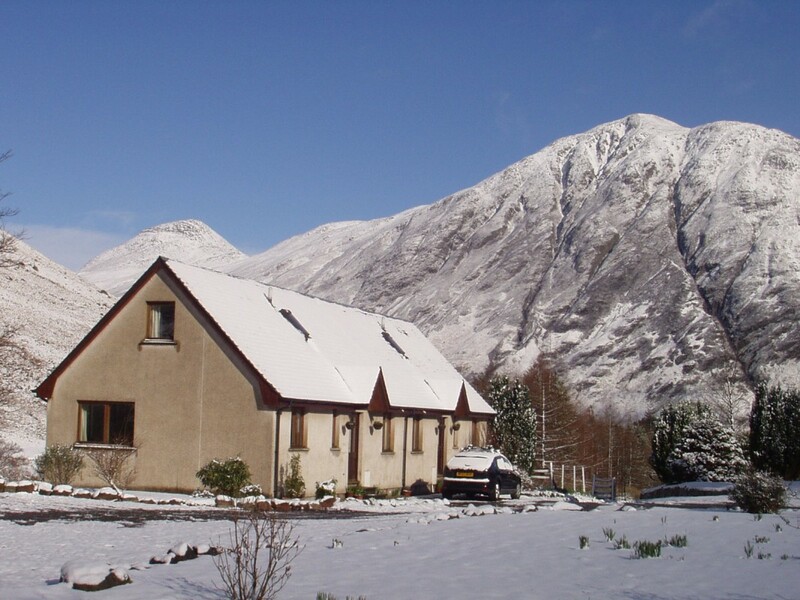 The two cottages sit below some of Scotland’s highest mountains. 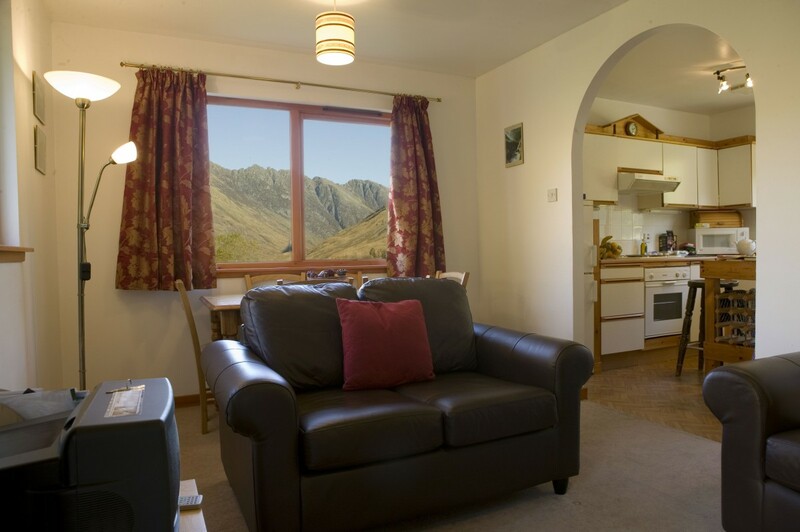 Amongst this beautiful scenery, we enjoy panoramic mountain views, with possibly the finest view of the Aonach Eagach Ridge in the Glencoe area. 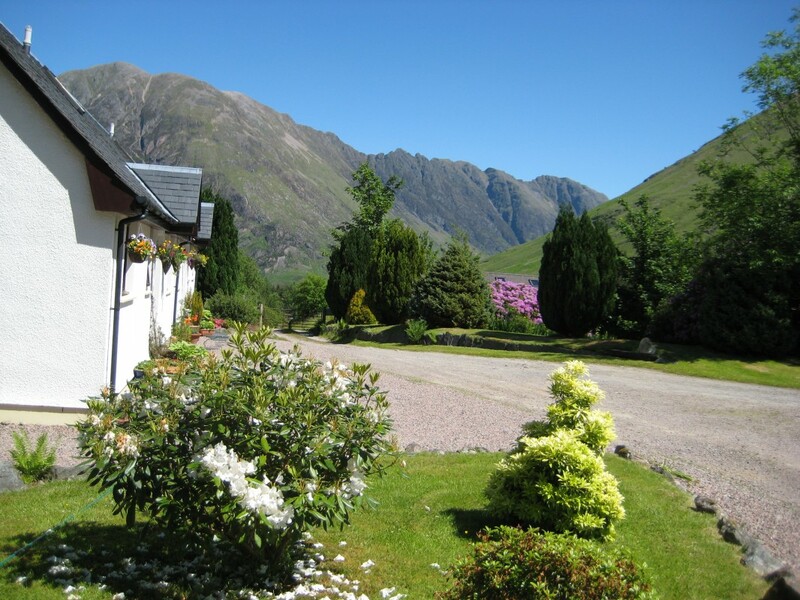 Accessed by a one mile hard surfaced farm track off the main route through Glencoe, our 4 star cottages enjoy complete tranquility in a truly peaceful setting, yet are only 3 miles from Glencoe Village. If you enjoy the night sky, you will be delighted by the vista unpolluted by urban lights. You can walk directly from the front door and enjoy walking in the hills alongside a mountain burn, even if you are not a hill walker. 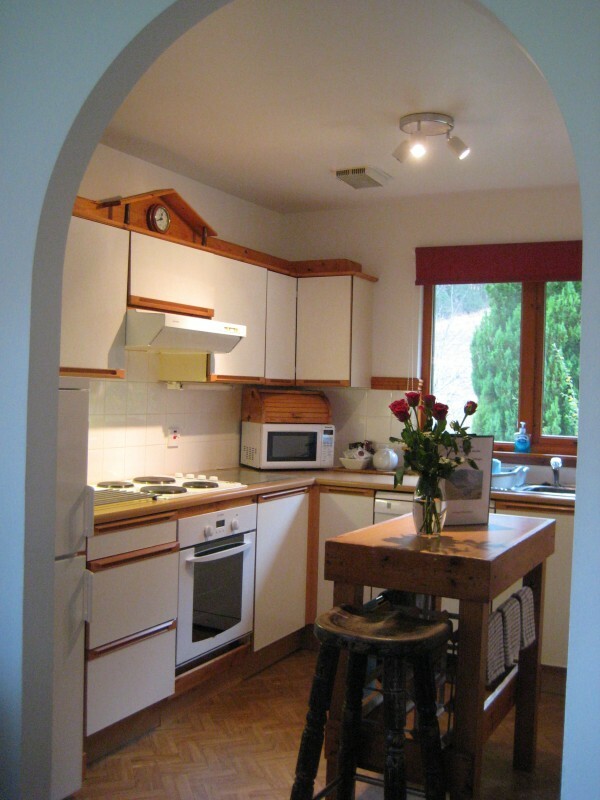 The cottages both sleep 6, in 3 bedrooms, and provide you with a lovely and comfortable ‘home from home’. They are bright, fully equipped and even include a selection of books and games for those cosy ‘stay-in’ evenings! 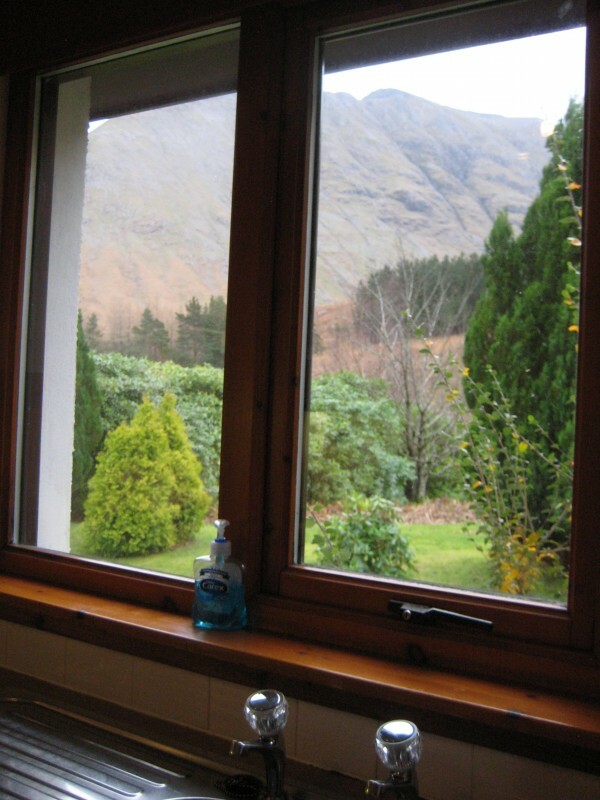 The kitchen cupboards are brimming with a large quantity of crockery and cooking equipment and we are delighted to hold a 5* rating from Visit Scotland for cleanliness. Garden furniture and BBQ’s are provided.